Your date of birth indicates you’re a Snake, right? 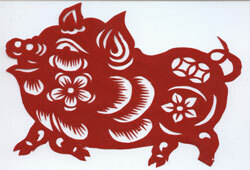 This animal is the sixth sign in the Chinese Zodiac cycle, and it represents the mystery. Are you ready to unveil the secrets held in the coming year? Take a look at Chinese Zodiac 2017 Snake Predictions and find out everything yourself! The energy of the Snake natives, during the year of Monkey, will be present in all aspects of life. Focus more on peace, harmony, and compassion to gain successes! 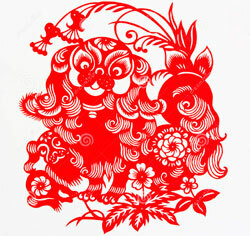 The astrologers predicted the Monkey Year Forecast would bring you many promises and opportunities. Feel free to grab all the chances and take actions at any time as you won’t face the hindrances or delays. Since the Snake people are really good at communicating, take advantage of this excellent skill to present your products or ideas with ease. Also, the universe power will provide you extra vitality built up from the previous year. Have a wise plan & thought, and follow the intuitive feelings to attain good results. 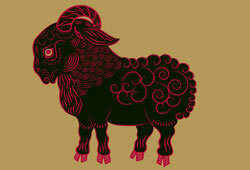 During the Year of Red Fire Monkey, the Snakes need to take risks in life as long as you avoid scrutiny and haste; after that, you can gain great rewards. Don’t be too confident and accept to do all things that can’t be completed. Life in 2017 seems to be busy for you, so you need to organize yourself for dealing with every situation well. In the middle of this period, you’re advised to slow down a bit. The tensions accumulated at the workplace and in relationships might affect terribly to your emotional condition. All decisions, especially financial matters, should be made after having proper conversations with all the people concerned. And, when spending the last part of the year, don’t let yourself get into the relationships just because of the outward appearances. Those who are under the control of this animal are quite gracious and passionate when being in love. As Snake possesses much Yang energy – it’s powerful. Keep balancing yourself and enjoy the flow of love. Make sure this affair is built from trust and loyalty of you and the loved one. For married couples, you two will have some problems with each other at the ending year. The reason is – the Snake natives choose to put the professional life first the marital life. 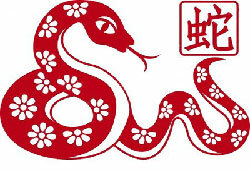 Among 12 Chinese Zodiac Signs, Snake is seen as the financial security seeker. As soon as it doesn’t create any anxiety, there’s no problem. No need to worry much about the financial life in this year! Don’t act too suspicious towards your co-workers, and try to listen to not only your intuition but also others’ opinions. The projects or ventures must be carried out with a proper plan and an optimistic approach. The year 2017 is the ideal duration to determine and obtain the goals you’ve set in the past few years. However, you need to have a good health if wishing to perform all the objectives. Prepare great care for both your physical and mental strength and ensure a stable balance. Bear in mind, do what you want and love what you do! In short, Chinese Zodiac 2017 Snake Predictions offer the seekers lots of ideas that can help you get back on track and complete all the pending missions to achieve the targets.